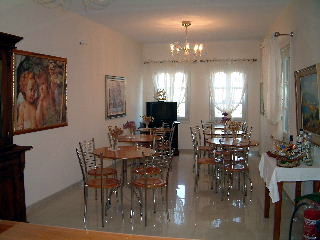 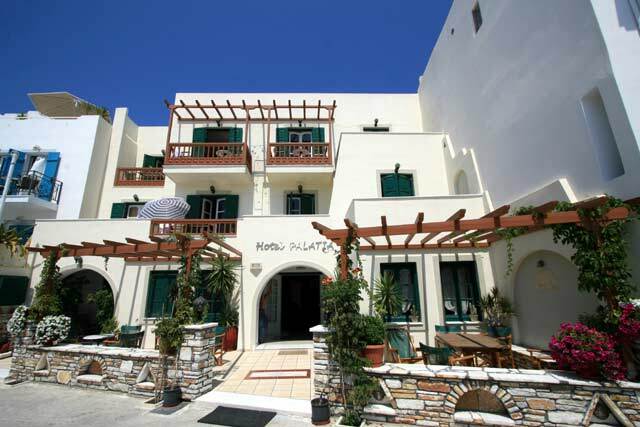 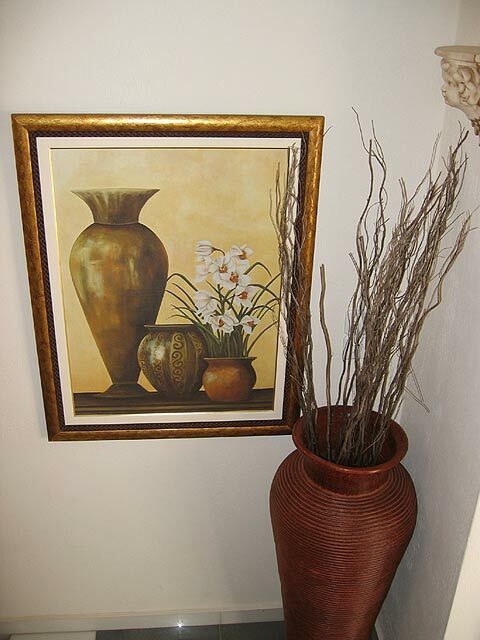 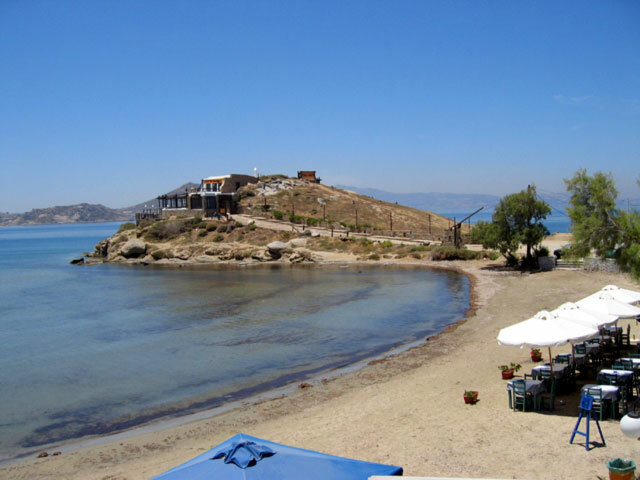 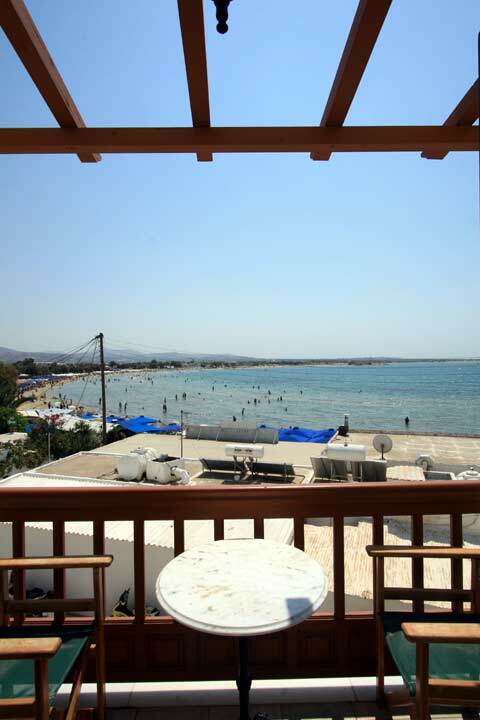 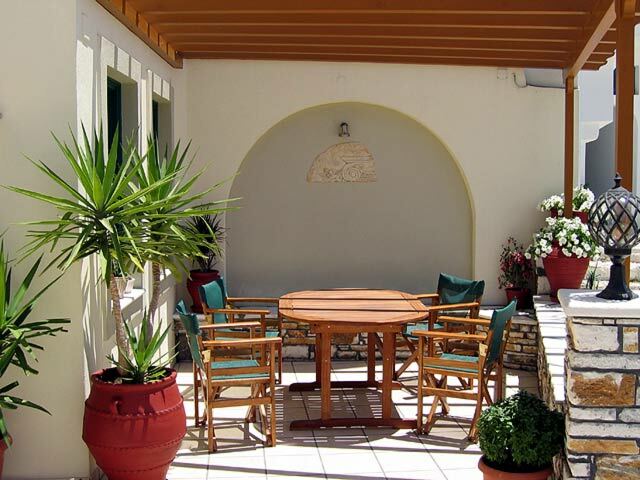 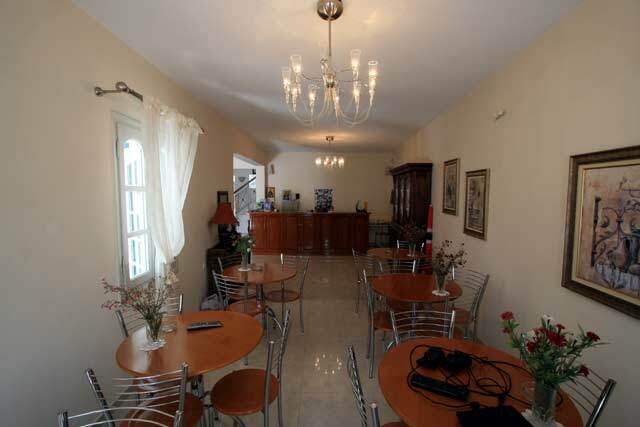 Hotel Palatia is offering a very pleasant and beautiful place, traditionaly built in St. George Beach. 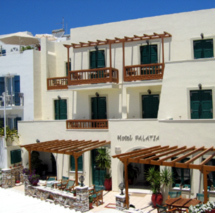 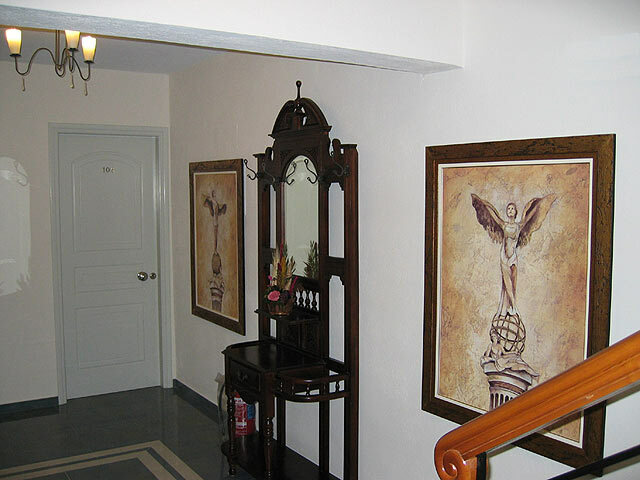 The Palatia Hotel has only been open since 2002 and has been decorated internally and externally to a very high standard. 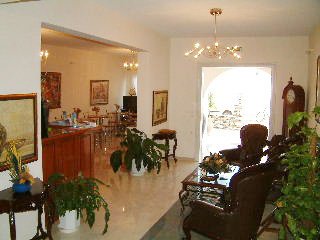 You can relax in the beautiful reception area while you are planning, which place you will explore first... A hearty breakfast is available at the Palatia, comprising of tea or coffee, freshly squeezed orange juice, boiled eggs, ham and cheese toasties,freshly baked bread with a variety of jams and marmalades. 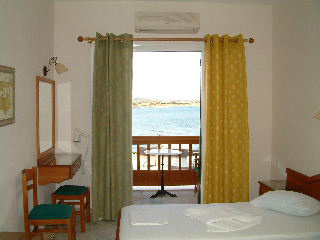 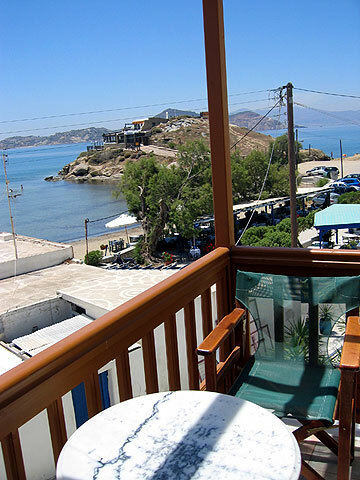 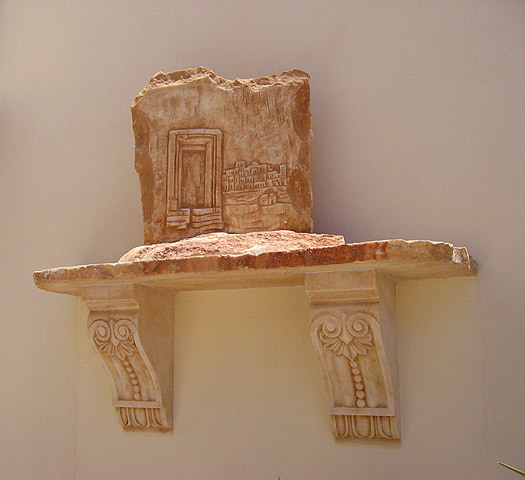 Each room benefits from having it's own balcony with beautiful views of the sea, mountains and the island of Paros. 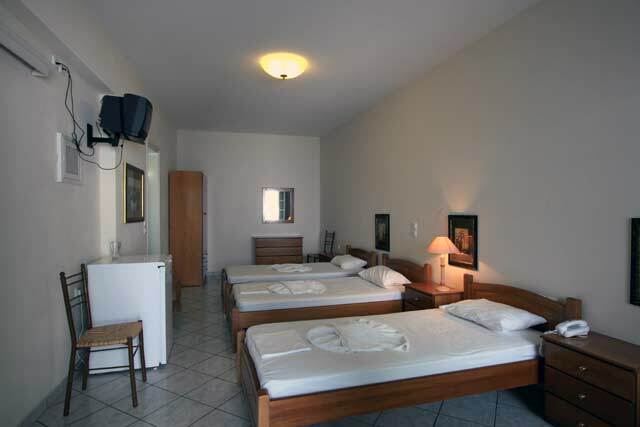 To ensure that your stay is comfortable each room is fully equipped with it'sown private shower, WC, air conditioning, fridge, remote control television, telephone and hairdryer.